Google had launched this year’s Pixel devices last month, dubbed as the Pixel 2 and Pixel 2 XL. The Pixel 2 XL being the premium and costlier variant. The Pixel 2 price in India starts at Rs. 61,000 for the 64GB model and the Pixel 2 XL has been priced at Rs. 73,000. Google Pixel 2 with its premium features and specifications is in a good position to compete with Samsung Galaxy Note 8, which was launched in the August this year. However, if we talk about pricing, you can buy yourself Samsung’s latest flagship, the Galaxy Note 8 for only Rs. 67,900 for the 64GB model. Both the devices have a lot to offer in terms of features and specifications. These flagships attract different types of customers, depending on the features. So, between two of them which device is the best and offers more value for your money? Let’s find out! The Pixel 2 XL follows the latest trend of taller aspect ratio display with smaller bezels, which makes its design a lot more modern. 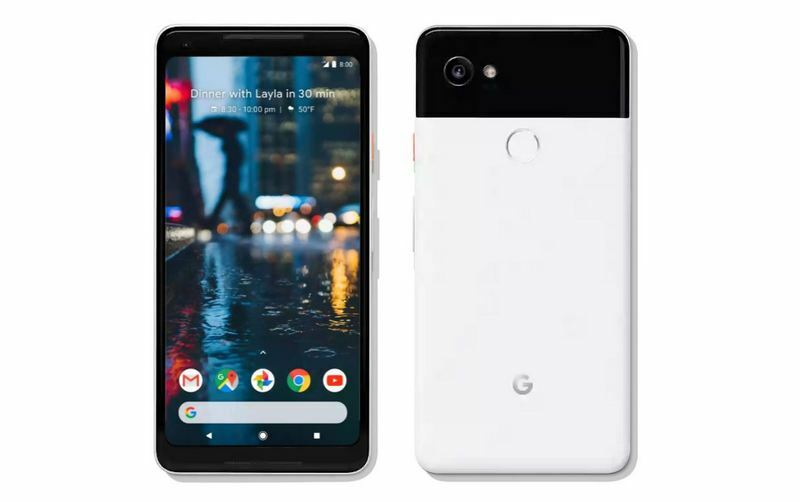 The Google Pixel 2 XL sports a 6-inch pOLED QHD display with a 2880 × 1440 pixels resolution. It has front facing speakers at the top and bottom and minimum bezels on either side of the screen. The Galaxy Note 8 features a 6.3-inch QHD Super AMOLED display with a slightly higher resolution of 2960 x 1440 pixels. It’s got a curved screen which means it has a similar-sized overall footprint. The Galaxy Note 8 only has a single speaker at the bottom but has a 3.5mm headphone jack, which Google removed from the Pixel 2 XL. Both the phones support Always-On Display. The Galaxy Note 8 Always-On Display features shortcuts to apps, icons for latest notifications, music controls and the ability to pin a memo with the S-Pen. On the other hand, the Pixel 2 Always-On Display offers a more standard experience. It also has a Now playing feature, which allows you to see what song is playing at any given time. Overall, if we talk about the design and display, Galaxy Note 8 seems to surpass the Pixel 2 XL. With a bigger display, higher screen resolution and curved glass display, Note 8 looks more beautiful than the Pixel 2 XL. The Pixel 2 XL is powered by a Qualcomm Snapdragon 835 processor with an Adreno 540 GPU. Memory wise it offers 4GB RAM and either 64GB or 128GB of storage. 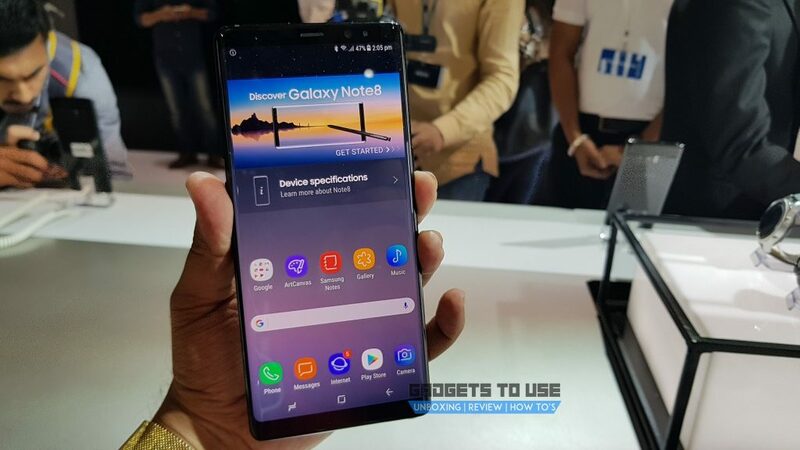 The Galaxy Note 8 has the same processor in the US, however, in India, it comes with Samsung’s own Exynos 8895 chipset. Samsung has also increased the RAM to 6GB for Note 8 and offers up to 256GB of storage. The Galaxy Note 8 comes with a microSD card slot for expandable storage. Here, Note 8 is definitely a winner because of expandable storage and extra 2GB RAM. The Galaxy Note 8 is the first Samsung phone to feature a dual rear camera setup. It sports two 12MP sensors with a f/1.7 aperture on the wide-angle, and f/2.4 aperture on the telephoto lens. Notably, there is OIS in both the lenses, which is a first time for any smartphone. The Note 8 dual cameras offers a good bokeh effect. Google, on the other hand, takes a different approach with the Pixel 2 XL camera and tries to show that a single camera can do the same as dual one. Pixel 2 rear camera is a 12.2MP sensor with f/1.8 aperture and OIS. Its noticeable feature is Portrait Mode which offers the same effect that other smartphones need two cameras to achieve. Moreover, the Pixel 2 is the first smartphone with Google Lens that gives you information about anything you point the camera at using machine learning. Front cameras of both the devices are almost similar with an 8MP sensor. As for the rear cameras, it is still difficult to say which has an edge over the other. Where, with the highest DxO Mark score of 98 until now, Google Pixel 2 XL could sport the best smartphone camera ever, Note 8 camera also offers exceptionally good pictures. The Pixel 2 XL runs on Android 8.0 Oreo out of the box. Google’s latest Android version brings many new features including a redesigned Pixel launcher, notification dots, picture-in-picture mode and a lot more. On the other hand, Note 8 was launched with Nougat and Samsung’s software experience on top. It will be updated to Android 8.0 Oreo in the near future. So, latest stock Android experience makes Pixel 2 XL winner here. After the Galaxy Note 7 battery issues, Samsung hasn’t put a big battery in Note 8. It has a 3,300mAh battery that should offer a day of use. The Note 8 battery supports fast charging and wireless charging as well. The Pixel XL 2 wins in the battery department. Pixel 2 XL comes with a 3,520mAh battery, which is bigger than the Note 8. It also supports fast charging. The distinctive feature of the Note 8 is its S Pen which can be used to make notes, drawings, translate sentences, and much more. The Note 8’s S-Pen also brings a few tweaks over the last year such as being able to save screen off memos up to 100 pages long, send gif-like live messages etc. 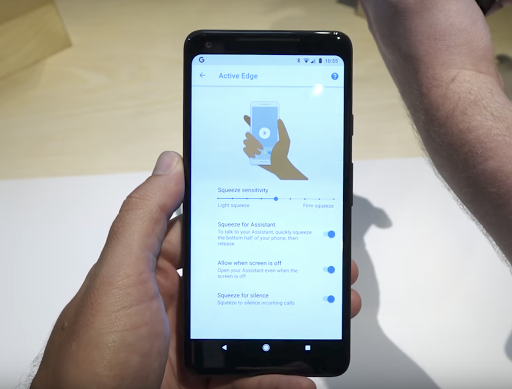 The Pixel 2 XL comes with the new Active Edge feature that lets to launch Google Assistant with just squeezing the edges of the phone, a feature which first came with the HTC U11 as Edge Sense. Both the Note 8 and Pixel 2 XL devices also have IP67 certification for dust and water resistance. The Galaxy Note 8 starts at Rs. 67,900 in India. The Pixel 2 XL’s price in India starts at Rs. 73,000 for the 64GB model and the 128GB variant goes up to Rs. 82,000. It’s noticeable that Galaxy Note 8 wins the price war. Note 8 comes with an S Pen, and 2GB of extra RAM, still it is Rs. 5,100 cheaper than the Pixel 2 XL. Galaxy Note 8 and Pixel 2 XL compete in all areas very closely. The Pixel 2 XL does look a little more modern with smaller bezels, but the Note 8 has a more phenomenal design with its curved display. Both the phones also offer similar displays that are sharp, however, Note 8 comes with a slightly higher resolution. In terms of the software, it’s clearly the Pixel 2 XL which seems to triumph over the Galaxy Note 8, thanks to Android 8.0 Oreo. If we talk about hardware, Exynos and Snapdragon 835 are not quite different, but the Note 8’s extra 2GB of RAM could be better for it. As for the cameras, it’s hard to decide which phone has the better camera. 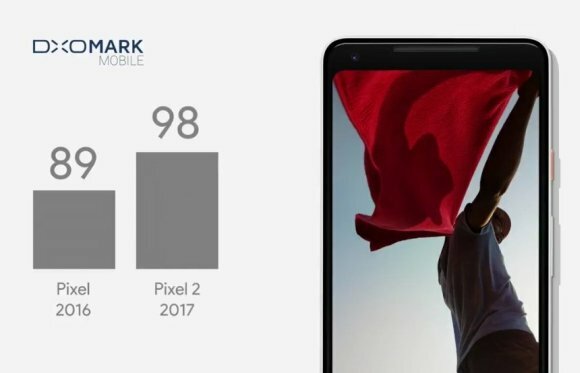 As per DxOMark, Google Pixel 2 XL has the best camera used in any smartphone. However, the Galaxy Note 8 camera also offers incredibly good pictures. So, the extra 2GB RAM, curved glass display with higher resolution, a headphone jack, a secondary camera at back, and a heart rate sensor are a few features which make Note 8 a good contender to Pixel 2 XL.